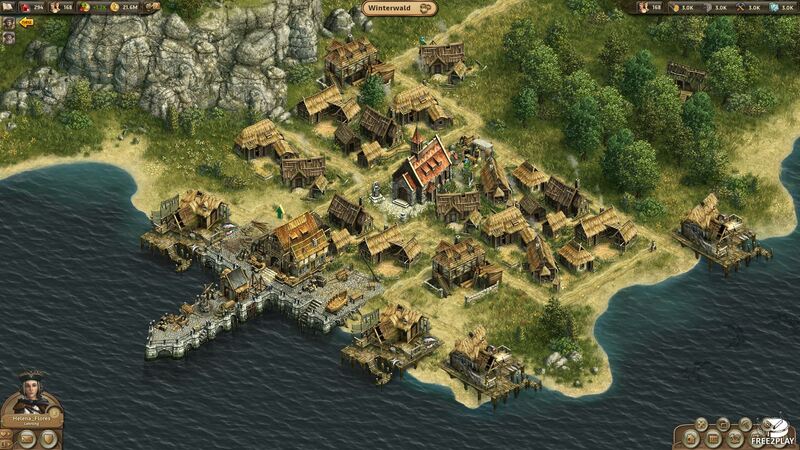 Anno Online is a f2p strategy game runs on a browser featuring complex management elements like economics. Allows players to build and keep medieval cities as they construct new buildings, manage production, fulfil the population's need, and discover and claims new land. Players can visit friend's cities and help them enhance productivity. They can also work together in guilds and even get to build stunningly massive monuments, or establish trade routes between their cities. 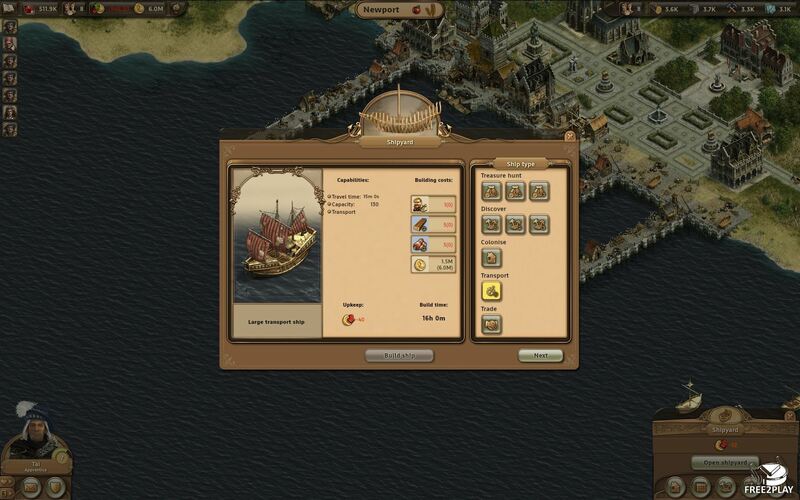 Trading involves advanced features such as ship renting, sea lanes, and much more. Players can trade with everyone in the game, setting up and accepting trade offers to and from other players. They will even get to watch as their ship leaves the harbour to pick up their goods to returns later on with its load. 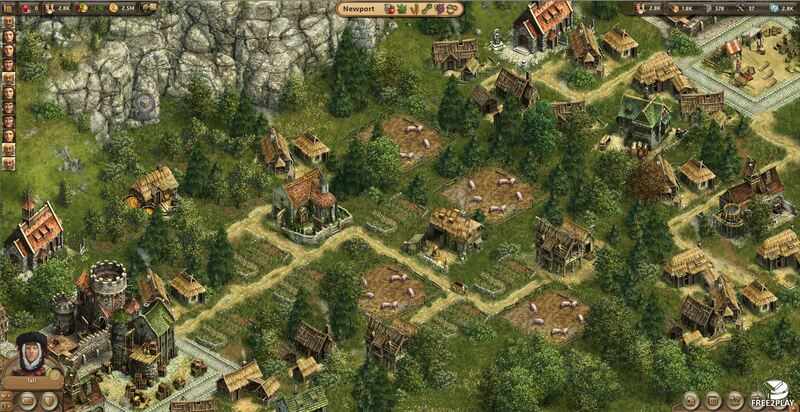 The game features 200+ type of buildings thus allowing players to create cities with 1.500+ buildings and turn them alive portraying historical displays and realistic economies. Each building features a vast amount of details and may be inspected in a close up manner. The construction process requires building materials and other resources that must be collected first. Advanced buildings will unlock when the population meets its required number of inhabitants. Marketplaces are the most basic structures and sell supplies to all residences within their influence area, providing a main source of income. The Pioneer Residences obviously rise maximum numbers of pioneers you can have, thus potentially increasing the player's overall income when they are kept happy and supplied with everything they need. There is a complex requirements chain in order to keep inhabitants happy, they need access to a marketplace plus roads connecting them with food, drinks, clothing, community, services, faith, and entertainment buildings. A Fisherman's Hut has to be built close to the shore since it needs fish around to be efficient. Warehouses gather end products that will be ready to use as soon as they arrive. They also provide carts and new collection areas. The Lumberjack's Hut produces wood of course, which is probably the most important building material. The farms require a lot of space for the farm fields in order to produce food. Woollen garments needs pastures around. The Spinner's Hut then weaves the wool and makes clothing. A Mason produces stone which is needed to build a lot of non-basic buildings, workshops, and roads. A Chapel will bring faith to the city. Carpenter Workshops provide wooden-made tools and materials. The Mill is well, what you would expect, turns wheat into flour which Bakery uses to, make bread. Trade and exploration are done by ships which are built in the shipyard which needs several pre-produced ship parts which can be made in the naval engineer building. The game gives room to customise avatar, ships and guild logo. Players choose between up to three millions combinations. Including male and female avatars whose hair can be dyed with an specific color, ship's hull are dyeable as well. Quests and achievements nlock more content allowing players to display their progress in the game.